Joseph Earl Sheppard, 76, passed away 2:50 a.m., Wednesday, May 16, 2018 at his residence. Born in Hillsboro on November 8, 1941, he was the son of Joseph L. and LaVonne (Massey) Sheppard. He had been a laborer out of Labor Local 338 in Wood River for 45 years. 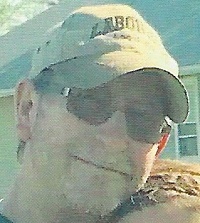 He loved loved drag racing, working at Gateway International, fishing and hunting. On January 30, 1982 in Cottage Hills, he married Minnie Belle Berry. She survives. Surviving also are sons, Joseph Dee (Angela) Sheppard of Glen Carbon, Nathan Sheppard of Moro; daughters, Ramona Leigh Sheppard of Edwardsville, Kasey (Bob) Gihring of Poag; six grandchildren, Evan and Nicolas Sheppard, Alexander Nelson, Bayleigh and Konner Gihring, Ethan Sheppard; three great grandchildren, Luciana, Rayne and Kynleigh Gihring; brothers, Roger Gillan and Jeff (Kathy) Waggoner of Glen Carbon, Pat (Tracy) Sheppard of South Roxana, Michael Waggener of St. Charles, MO; sisters, Joan Capps of Orange Co., CA, Pam Gardner of Granite City; a very special niece, Shelby Sheppard;and his canine companion, "Pandi". His parents and grandson, Jonathan Gihring preceded in death. Visitation will be from 12-3 pm, Sunday at Marks Mortuary in Wood River, where services will be conducted at 10:30 am, Monday.